2. 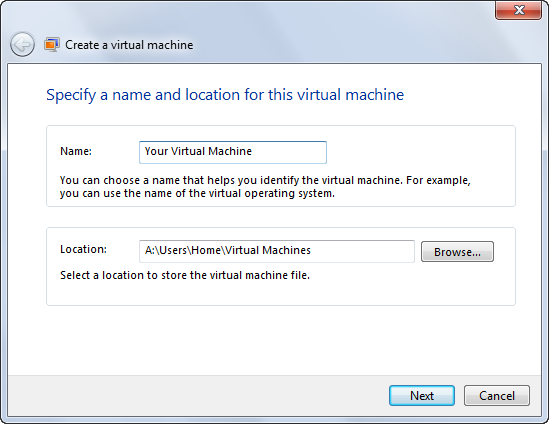 Name your VM and choose it's location. 3. Specify the amount of RAM you want the VM to use. 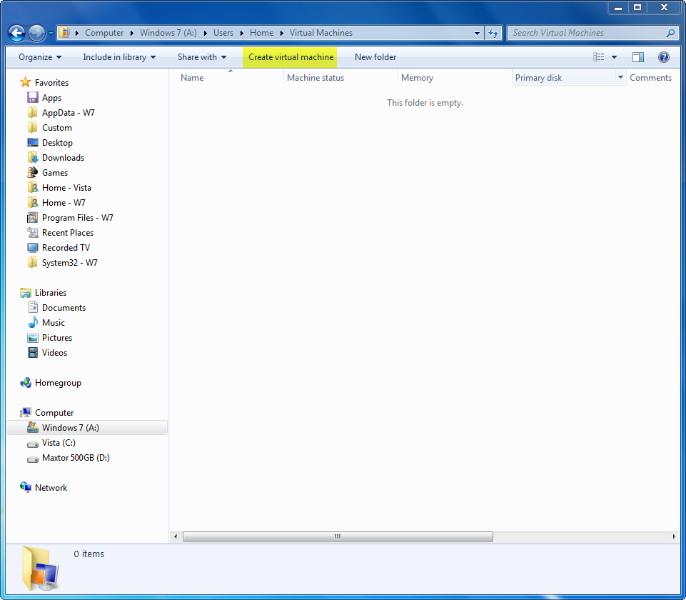 I have 3Gb RAM on my PC, so i've been using 1.5GB RAM in the VM, works flawlessly. 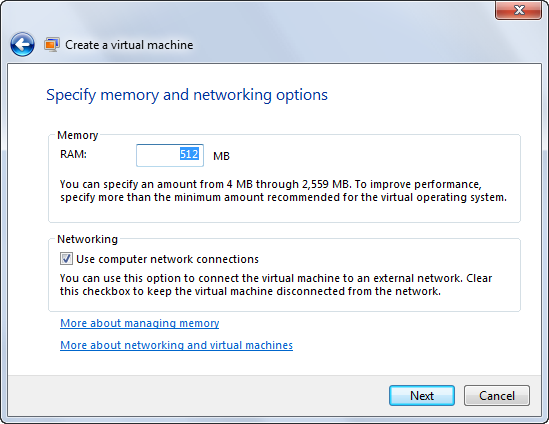 Uncheck the Networking box if you want the VM offline. 4. 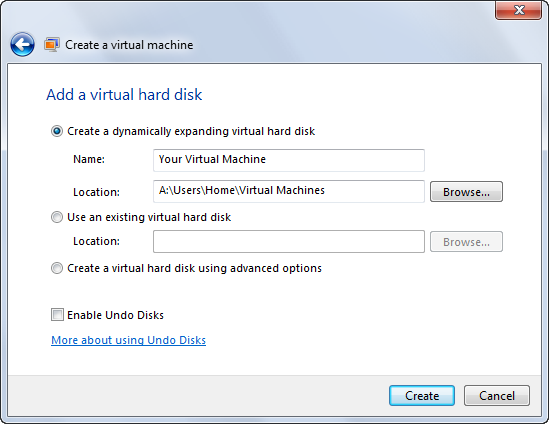 Set your VHDD prefrence, undo disk gives you temporary storage so you can change the VM without changing the VHDD. Click on create. 5. 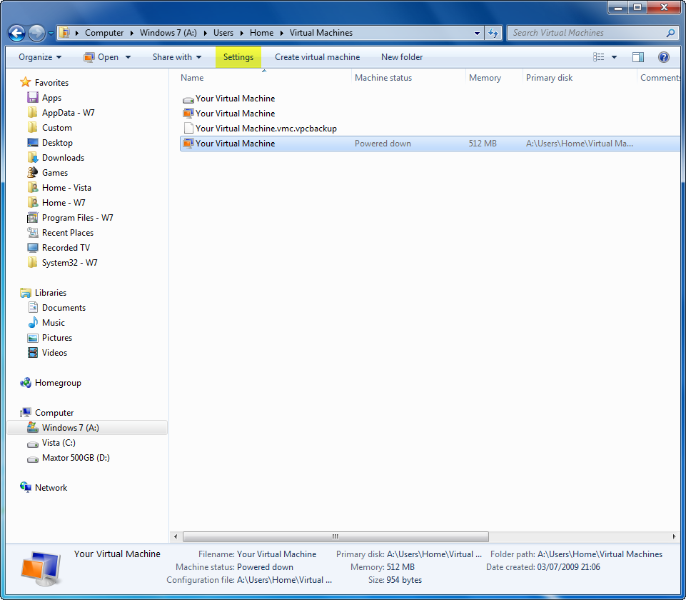 When your finished creating the VHDD you'll need to install the OS, navigate to the VM folder again and select the newly created VM. Click on settings. 6. Navigate to the DVD Drive tab and check the 'Open an ISO Image' if you're installing the OS from an ISO, or 'Access a physical drive' if you want to install from a DVD. 7. Double click the same selection as before to power up the VM and boot from the ISO/DVD, proceed through the installation as normal. 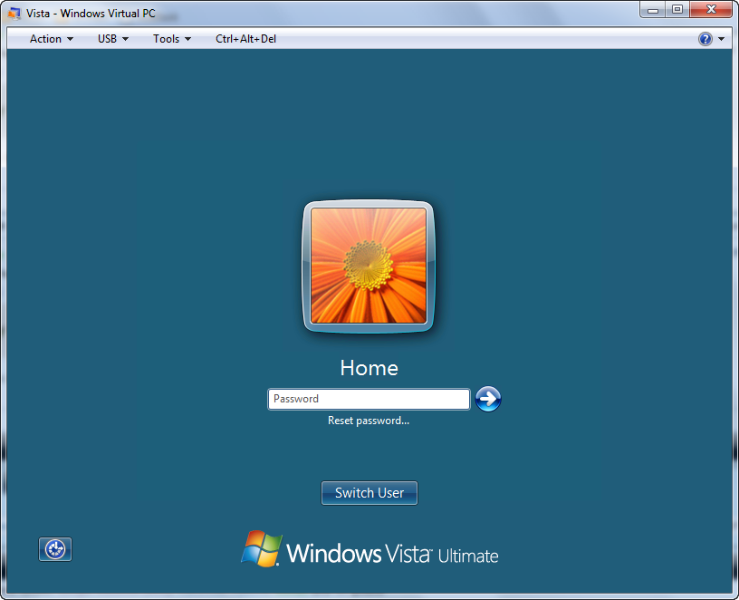 I'm using a Vista Ultimate ISO. Last edited by Stu on Mon Aug 31, 2009 10:10 am, edited 3 times in total. You can use SecurAble to check processor compatibility for hardware virtualization. What's a pity! My CPU does not support Virtualization techs, but SecurAble told me that it's locked off. Day after day, I miss you so much! I got OSX to work in VMware before. It was a very poor experience and not worth the hassle tbh! Yeah virtualization is not a good playground for Mac OSX. I don't know whether it has to do with being UNIX based or not, but either way OSX has very very very picky hardware requirements, and you may not have the right environment in a virtual machine for it to run optimally. The only versions that may be suitable for that are hacked versions with added drivers that are found on torrent sites. I recommend running a multiple-boot environment on a Hackintosh to get the full experience. Well have no fear, I have a guide on the way that will make OSX as painless as ever. Have you gotten far trying to do it yourself yet? I haven't heard an update on your triple-booting yet.